Have you ever been on a family outing and your children totally embarrass you by reacting inappropriately to seeing a handicapped child in a wheelchair? Did they ever stare and point at a group of young people signing and enjoying each other in silence? Can you imagine that feeling of wanting to dig a giant hole and climb in as quickly as possible? Fortunately there is much parents can do to avoid such awful scenarios. We need to try our best to anticipate situations before they actually happen, because as we all know, kids will be kids! What kind of person do you want your child to become? Do you want them to be sensitive and respectful of others? Do you want them to be grateful or have a sense of entitlement? Do you want them to contribute in a meaningful way to those less fortunate? Do you want them to be accepting of others? Will your child grow into a bully, or be the one that helps another child in trouble? Parents need to reflect and ask themselves if they are the setting the best example as a role model for their children. Don’t forget about your non-verbal clues because children really do learn what they see at home. It is critical that as a parent you mirror the character traits that you want for your children. Children are very observant and you may be inadvertently passing onto them some of your own less than desirable behaviors (we all have them). One of the overarching themes of my children’s book, Let’s Hear It For Almigal, is that we are all special in different ways. Over the years I have learned that there are very specific things parents can do to teach their children to embrace our differences and be sensitive to others, especially those less fortunate. Children need to experience the good feelings you get from helping others and volunteerism should be introduced at a young age. Teach your kids to do simple, but thoughtful things for others. Together you can make get well cards or cookies for someone who is ill.
You can make (or buy) a piggy bank that’s just for charity. Kids can save their pennies and make a donation to an organization that is meaningful for them, at the end of the year. Take toys and books your children have outgrown and donate to a local hospital or library, but be sure to include your children in delivering these gifts. Go to your local craft store and buy supplies for your children to make baseball caps for kids with cancer. I recently read about a post-it wall and I instantly loved this idea. You can call it the “Good Deed Wall.” Each member of the family has a color post-it that belongs to them. (Almigal’s would definitely be pink!) Every time a good deed is done, it gets written on the post-it and hung on the wall (or the refrigerator). Kids love being recognized for doing good deeds. Studies have shown that it’s very important to teach our children to be grateful. Counting your blessings is another activity that nurtures the character traits of acceptance and empathy. How about a gratitude journal? Kids enjoy looking through magazines for pictures and cutting and pasting. Why not cut and paste things you are thankful for into their very own gratitude book? You can also work with your local civic organizations and participate in beach or park clean-ups, visits to nursing homes and writing pen pal letters to children who are sick. This past May I had the pleasure of reading Almigal to a group of students that were blessed to be in a classroom with a truly amazing teacher. The children were wearing necklaces with charms and I inquired what that was all about. In this case it was a reading project and they added a charm every time they read another book. Why not go to the craft store and get necklaces and charms for each time your child does a good deed or something really kind? All of these ideas are really quite simple, but have lasting impressions. Huge thanks to Working Moms Against Guilt for inviting me to guest blog! I would like to add that I am not a doctor, a psychologist or a teacher. I am simply a mom and grand-mom who hopes that after 60 years on earth, I have acquired some small amount of wisdom to share and that someone might want to read it. Wendy Kupfer knows Almigal’s story well. Doctors diagnosed her daughter Ali at the age of 10 months with a profound hearing loss and predicted she would never speak, but the doctors underestimated this unbeatable mother-daughter team. Wendy ’s dedication and drive, paired with Ali’s hard work and determination, produced one spunky, confident “chatterbox” and two passionate advocates for the deaf and hard of hearing. Want to win a copy of Let’s Hear It For Almigal for your family bookshelf? Leave a comment below. Please include your email address when submitting the comment so we can reach you if you’re the winner. One entry per person. Open to U.S. residents ages 18 or older. Entries will be accepted until July 10, 2013. One winner will be selected at random and contacted shortly after July 10. As an elementary school teacher, the themes of respect, acceptance, understanding, gratitude and kindness are stressed in my classroom every day! The ideas of charity and volunteering shared are excellent and “do-able” at school or home. The recc reading list is great, in fact, every one of those books is in my classroom library, including Let’s Hear It For Almigal, which is a student favorite! I once said to my daughter, “Great minds think alike.” She replied, in her Jr. High Student’s infinite wisdom, “No Mom, great minds think for THEMSELVES!” I learned something crucial that night. When people shut down and don’t consider another option whether it be to question a doctor’s professional opinion, as you did Wendy, or to learn more about handicaps and disabilities then we all suffer greatly. I have worked closely with people who have advocated for children with disabilities and I am amazed at how hard they work and how oblivious many people are in regard to those who are less fortunate than we are. Thank you for writing this book and for helping parents instill thankfulness and the importance of good deeds in their children. My son was recently diagnosed with a learning disability on top of generalized anxiety that have made his school career to date daunting. He has had to learn, the hard way many times, about kids being less than accepting of others who have different needs. I hope many read and share your book! I agree with modeling your behavior after how you want your child to behave. They truly absorb everything, both good and bad. It’s important to set a good example but also be mindful of those behaviors that are not so good and keep them in check. As a grandparent, it is my hope and prayer that each of our grandchildren develops a deep sense of empathy, gratitude, and paying it forward. This is a wonderful post! 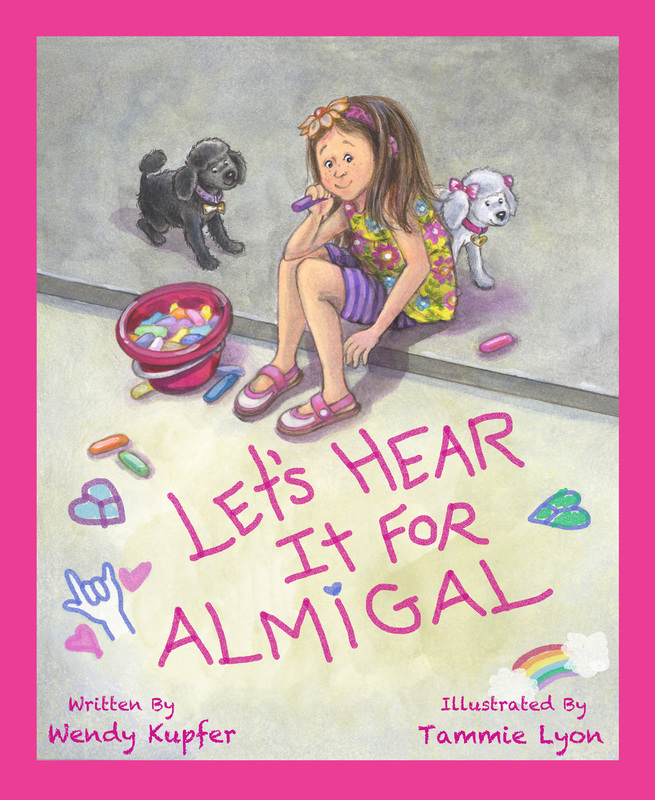 As a children’s book illustrator and public speaker, I’ve seen “Let’s Hear it for Almigal” at several schools and awards events. The book is absolutely reaching more students than we realize. Know I am coming in late here, but your advice is so very useful. I write not for myself, but my son who is engaged to a gal who has a four year old boy who shows zero empathy. They recently had an incident where their beloved kitty was severely injured, and he cried not for the kitty, but because he could not go to the pool party as they had to spend the day at the vet’s office. The other day they finally got to go to a party, and he threw fits because the older kids were not playing with him. No empathy at all. I am concerned, but they will be for a visit in a few weeks, and will acquire some of the books you suggest, he loves when I read to him and talk about the story, and your suggestions to try to instill some empathetic feelings in him. Mom and “Dad” work a lot, so sure the guilt is there for them, so glad I found this site. Thank you so much for posting, it is very helpful, even for a Gramma! I will graduate this semester with an associates degree in Interpreter Training in American Sign Language. 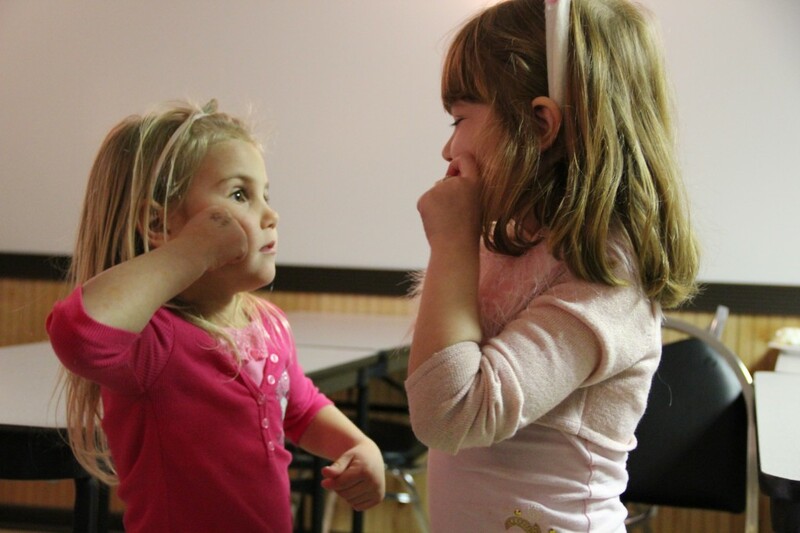 My daughters both are homeschooling and I plan to teach ASL to any hearing children in the group who are interested. This might be a good book to go along with that class. I have never read it but I will look at the Library for a copy.